Shaun Rose, Kendra Mosher, Adrianna Rose, Keenan Rose, Bruce Rose Sr.
A good idea can go an awful long way to selling a low-budget indie and a good idea is what comes out of director Shaun Rose's ultra-low budget indie Upstate Story, the tale of a young man named Ellis Martin, played by Rose himself, who works for a cleaning service while longing for better opportunities and longing for the innocent days of youth or at least the next weekend. Upstate Story is an occasional meandering through Ellis's meager existence, caught in a cycle from which he wishes to escape, and a universal story that should resonate with most people. 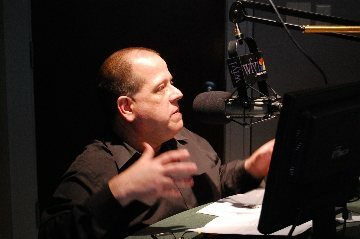 Upstate Story, despite its budgetary constraints, has proven rather successful on the festival circuit including prizes at the Virgin Spring Cinefest (Best Amateur Film, Best Director, Best Music Score), the Monkey Bread Tree Film Awards (Special Mention Prize: Social Conscious Filmmaking), South Film and Arts Academy Festival (Best Indie Feature), Oniros Film Awards (Honorable Mention), Five Continents International Film Festival (Best Fiction Half-Length Film), Depth of Field International Film Festival Competition (Award of Excellence, Direction; Award of Exceptional Merit for Zero Budget, Script Writing, and Original Score), Cult Critic Movie Awards (Best Amateur Film, Best Director), and 12 Months Film Festival (Best Feature Fiction and 2nd Place - Audience Award). While some dismiss the ultra-low budget indie awards, they're a significant factor for up-and-coming, zero budget filmmakers and the fact that Rose has picked up so many prizes and screened in multiple other festivals is a positive sign for the young filmmaker. Upstate Story does tell a compelling and involving story, its social conscious absolutely on display here as we follow Ellis, whose entire being seems to be caught in a cycle that is partly choice, partly self-fulfilling prophecy, and in many ways just plain being stuck in a life with a seemingly meaningless job, no friends to speak of, and an absence of direction. However, as told by Rose, Ellis's journey is more involving than depressing and more thought-provoking than actually meaningless. Utilizing effective narration and a top notch original score from Jacob W. Veitch along with the monochromatic lensing from Rose and Kendra Mosher. 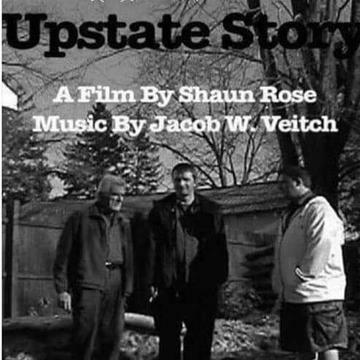 There's no question that Upstate Story wears its low budget on its sleeve, but behind a convincing ensemble cast seemingly all on the same page with the film's story, Upstate Story is a great film for fans of indie, zero-budget filmmaking to check out. For more information on the film, check out its official Facebook page linked to in the credits.